If you have want to build a EC(E-Commerce)site then there are most benefits.It is not a hard task to create a Ecommerce site.Today i will tell you some most evergreen advantages of creating E-Commerce site. • Global reach: The net being inherently global, reaching global customers is relatively easy on the net compared to the world of bricks. • Cost of acquiring serving and retaining customers: It is relatively cheaper to acquire new customers over the net. Thanks to 24 X 7 operation and its goal reach. Through innovative tools of push technology to retain customers, loyalty with minimal investments. • An extended enterprise is easy to build: In today’s world every enterprise is a part of the ‘connected economy’; as such you need to extend your enterprise all the way to your suppliers and business partners like distributors, retailers and ultimately you end customers. Internet provides an effective (often less expensive) way to extend your enterprise beyond the narrow confines of your own organization. Tools like enterprise resource planning (ERP) ,supply chain management (SCM) and customer relationship management (CRM), can easily be deployed over the net permitting amazing efficiency in time needed to market, customer loyalty, on time delivery and eventually profitability. • Dis-Intermediation: Using the net one can directly approach the customers and suppliers, cutting down the number of level sand in the process, cutting down the costs. • Improved customer service to your clients: It results in higher satisfaction and more sales. • Power to provide the ‘best of both the worlds’: It enhances traditional along with internet tools. Obviously there are great benefit of ecommerce store. Ecommerce store not only increase sale but also it's create a brand. There are many platform for ecommerce web design. Every platform has some extraordinary features. This is a great blog post on benefits of building e-commerce site. I am anxiously waiting more useful blog posting from you like above. Thank you very much. This blog have been helped me to know more things regarding e-commerce and their related issues. Thanks.. I really agreed and glad to get a information to know about the benefits of building ecommerce sites. This blog well having great information about the benefits of Ecommerce websites.We could buy any things through the ecommerce websites. 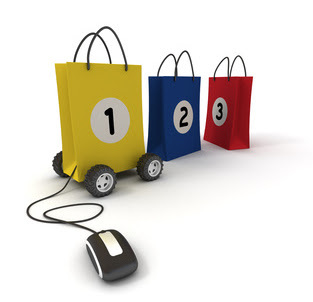 E-commerce website is the easy way to sell your product in online. Magento is the best e-commerce platform to build online stores. Just wanted to say a huge thanks to you for putting up such a great informative content. I am closely looking at what your next post would be.